Bjorn Jeffery is still having some trouble getting used to America. 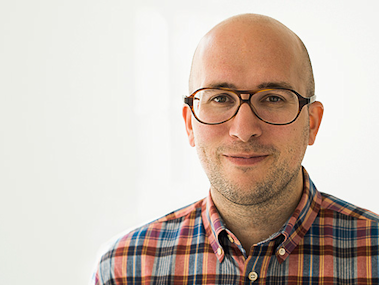 The Swedish-born CEO of children’s game company Toca Boca was shopping at Whole Foods recently when he saw, on a box of measuring cups, the claim “Teaches your kid math!” And that’s all wrong, he said. Whereas Sweden encourages learning in a broad sense, Jeffery said in a recent interview, America’s edutainment industry focuses more narrowly on education. It’s a bit of a fuzzy distinction, but he defines education as a subset of learning that includes school curricula but not playful discovery. “There will be no education if the kids don’t participate in it,” he said. Toca Boca’s kids’ apps are about that sort of discovery and participation. They’re more toys than games, often lacking the sort of objectives or instructions adults might expect. 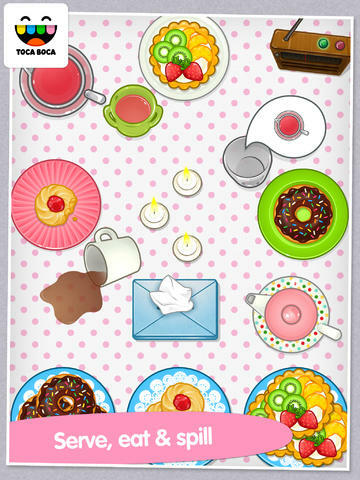 For instance, Toca Tea Party recreates (surprise!) a tea party on the iPhone or iPad, while the Toca Hair Salon series gives players a head of hair to cut, shave, dye or otherwise mess around with as they see fit. Player beta testing in the tea party game revealed that kids’ favorite part of simulating a party was spilling and cleaning up messes. Kids may enjoy what adults would regard as an annoyance, the CEO said, so treating young players like small adults doesn’t make sense. Part of why adults might be baffled: Toca Boca is part of an endangered species of studios making primarily paid games for mobile devices, instead of the free-to-play titles that have come to dominate the ecosystem. And without any in-app purchases, the apps (generally $2.99 on iOS, with a smaller selection of titles available for $0.99 each on Android) are one-time purchases — how quaint! This rare-and-getting-rarer business model has an unintentional side effect: With no in-app purchases and no plans to add any, games released by Toca Boca and its spinoff studio Sago Sago had a relatively easy time complying with the revised version of COPPA, the Children’s Online Privacy Protection Act, that went into effect in the U.S. earlier this year. “It’s very complex and not something we’re interested in,” Jeffery said of making games with online multiplayer, which would in turn require the company to store player profiles and regulate online interactions. He pointed out that even Facebook, which wants to be everywhere, doesn’t officially allow users under the age of 13 to register, due to the regulatory hurdles of COPPA. “If Facebook hasn’t figured out sub-13, I’m going to be Scandinavian about this and lay low,” he said.